If you are a Farmer or Large Livestock Holder, then chances are you have been under the care of another vet. Before your old vet can pass us your animal’s records they should seek your permission. This will not prevent your animals being seen by us. To register with us, please ring our Farm department in the first instance on the number below. Please read our Terms of Business and complete the online Registration Form (or contact the Farm Office for a paper form). 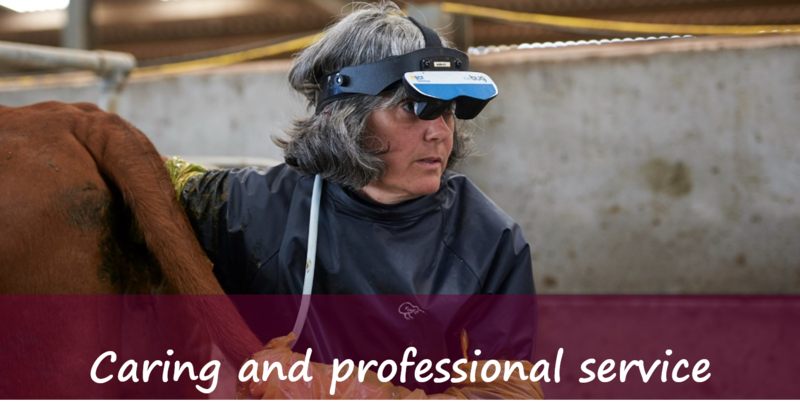 Hopefully the information on this website will answer most of your initial questions, but we will arrange for one our Partners to visit you to discuss your requirements and to explain to you how we can help you with your immediate veterinary needs and longer term Farm Health Planning to maximise your Farm’s productivity. If you have moved into the area or wish to switch from another vet, then registering with us is very simple. All you need to do is ring our Farm department, on the number above. They will ask you some questions about you and your animals. Hopefully all the information you require is on our website, but if you have other questions, then please feel free to speak to our staff or ask to speak to one of our veterinary surgeons. Having livestock for the first time can sometimes be a little bewildering in terms of ‘when should they be looked at by a vet, when does it need to be vaccinated, what is the right food, how will I know if it is unwell?’ Please speak to our vets if you have any questions, we are always here to help.